If you are a FileZilla user and facing below error regularly while trying to save account password in site manager. Saving of passwords has been disabled by you. 'Normal' and 'Account' logontypes are not available. Your entry has been changed to 'Ask for password'. Edit Settings – Open FileZilla and open settings option under Edit menu. Select Interface – Now select interface page in list of pages. 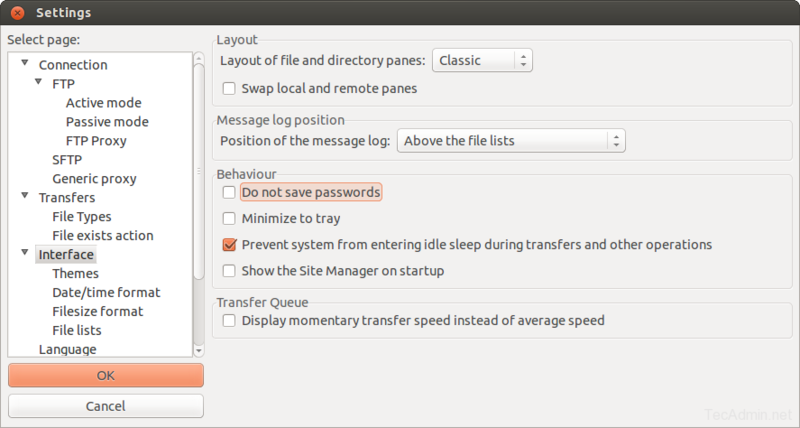 Do not save passwords – Now uncheck the box in front of Do not save passwords under Behaviour section. check below screenshot.